Bettys tenor Joan, lead Lynda, baritone Heather and bass Cori placed 7th at the 2004 Sweet Adelines Internationals in Indianapolis, 3rd in Detroit in 2005, 2nd in Las Vegas in 2006 and finally won Gold in 2007 in Alberta, Canada! 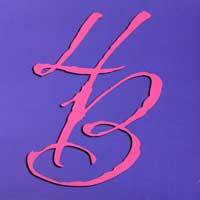 "Betty Holidays" is a generous Christmas collection of 17 tunes, including three nice Hanukkah songs, "Eight Candles," "Hanukkah Medley" and "Chanukah, O Chanukah." There's a lot of favorite carols here, "Joy to the World," "Coventry Carol," "Carol of the Bells," "Carol Medley," "Pat-a-pan" and "Go Tell it on the Mountain." Pop favorites include "Winter Wonderland," "Do You Hear What I Hear," "Jingle Bell Rock" and "Peace on Earth/Drummer Boy Medley." 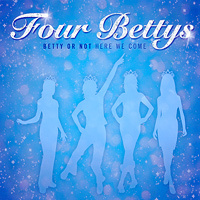 The Bettys are all about sweet harmonies and great entertainment, and there's something on "Betty Holidays" for everyone - enjoy! Third in 2005, second in 2006 surely this fabulous quartet are the next heirs apparent to the Queens of Harmony crowns. And how worthy they are is clearly demonstrated on this fine recording as the ladies are in top form as they sing some classic barbershop songs along with some vintage jazz gems. Made up of members of the Melodeers and the Choral-Aires Sweet Adeline choruses the quartet members Lynda, Joan, Heather and Cori fine individual voices blend in great harmony with a spirit that shows why we love female barbershop singing so much. This recording should be in all fans collections. Chicago-based Four Bettys' first step onto the Sweet Adelines International Stage in 2004 in Indianapolis turned quite a few heads when they placed 7th. In Detroit in 2005 they took 3rd, in Las Vegas in 2006 they won 2nd, and in Alberta, Canada in 2008 they were crowned SAI Champions! The 13 songs on "Good Queen Fun" show us why. 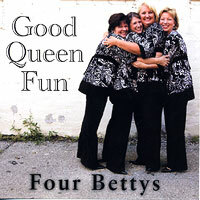 The Bettys, with a passion for performing and a combined 40+ years singing, are a joy to listen to! Some favorites are "Wonderful Day/Zip a Dee Do Dah Medley," "Come Fly with Me," "Spreadin' Rhythm Around," "Dr. Jazz/Land of Jazz Medley," Chicago's "Saturday In The Park," "My Melancholy Baby," "Gospel Medley," "This Is Some Lucky Day" and "Who I Am." With their solid harmonies and leads, the Bettys are all about great entertainment, and we're sure you'll enjoy this strong collection from one of Sweet Adelines' elite groups!